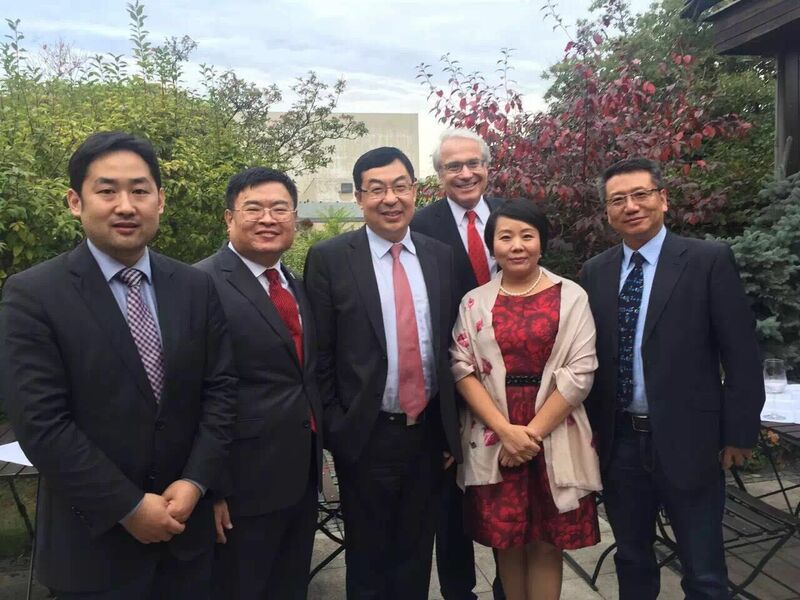 On September 23, 2015 Yingke Law Firm held its Yingke German office and Yingke Koehler China Center Grand Opening and reception banquet in Berlin. Hundreds of guests from government authorities, legal circle, financial community and media milieu joined the event including Mr. Wang Weidong, the Commercial Counselor of China Embassy in Germany; Mr. Lange Christian, the officer of the Federal Judicial and Consumer Protection, the secretary of German Parliament and the congressman of Germany. 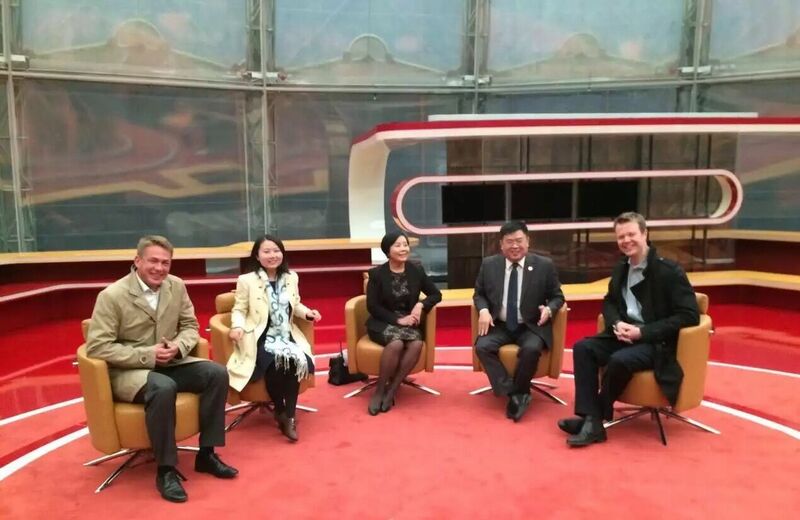 Mr. Xiangrong Mei (Managing partner, Global partner) and Ms. Lin Yang (Director of Yingke International, Global partner) of Yingke Law Firm, together with Dr. Koehler, the partner and founder of Koehler Law Firm and former senator of Berlin City Council attended the ceremony. Figure above (from left to right) is Mr. Duan Wei (Secretary-general of Germany and China Chamber of Commerce), Mr. Mei Xiangrong (Director and global partner of Yingke Law Firm), Mr. Wang Weidong (Commercial Counselor of China Embassy in Germany), Dr. Koehler (Partner and founder of Koehler Law Firm and a former senator of Berlin City Council), Ms. Yang Lin (Global partner of Yingke Law Firm, Director of Yingke International & President of Yingke & Koehler China Center) and the representative of Chinese enterprise. Yingke German office operates through exclusive cooperation between the two firms. Koehler Law Firm is an integrated law firm with professional experience for decades, consists of lawyers, tax consultants and economists. Headquarters is located Friedrichstrasse in the central of Berlin, close to the government offices. It can provide comprehensive services and integrated solutions for matters across several fields and industries. The establishment of Yingke German office sees a great progress of Yingke’s global strategy. It will devote to promoting the bilateral business and investments between the countries. During the interview, Mr. Wang Weidong pointed out that Chinese investments to Germany have increased by 75% until 2014. Chinese enterprises are learning more and more about German investment and trade environment. It is believed that the business and investment between the two countries will make a great progress under the Chinese‘go global’strategy. Mr. Wang Weidong showed his warmly welcome and supports for Yingke German office and Yingke Koehler China Center Grand Opening. 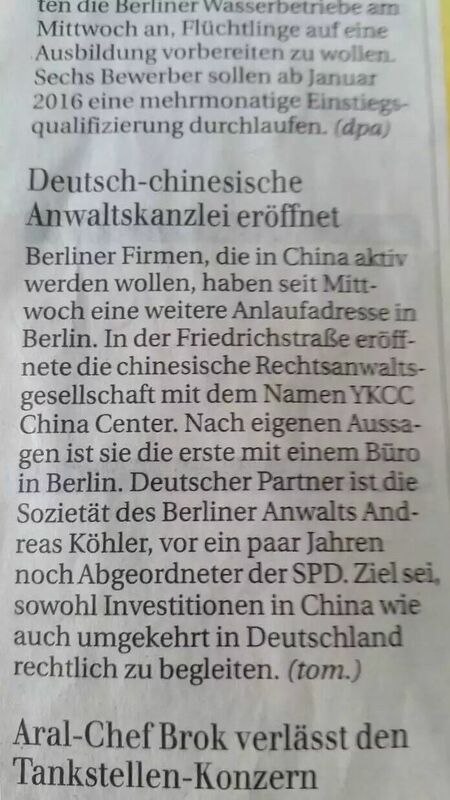 Yingke German office and Yingke Koehler China Center Grand Opening was reported by Berliner Zeitung and Bild. Starting from this Wednesday, one more firm - Yingke Law Firm German office and Yingke Koehler China Center has entered in Berlin. It is said that this is the first Chinese law firm to open its office in Berlin. Dr. Koehler, as the Partner and Founder of Koehler Law Firm, is the former member of the Sozialdemokratische Partei Deutschlands (SPD). This cooperation shows that Yingke German office and Yingke Koehler China Center will play a significant role in investments between China and Germany. On Wednesday, the economic cooperation between China and Germany increased closely. Following this trend, the first Chinese law firms located in Berlin. Yingke Koehler China Center was situated in Friedrichstrasse. It will provide legal and consulting services for Chinese investors in Germany. Meanwhile, Koehler law firm is going to set up its office in China. 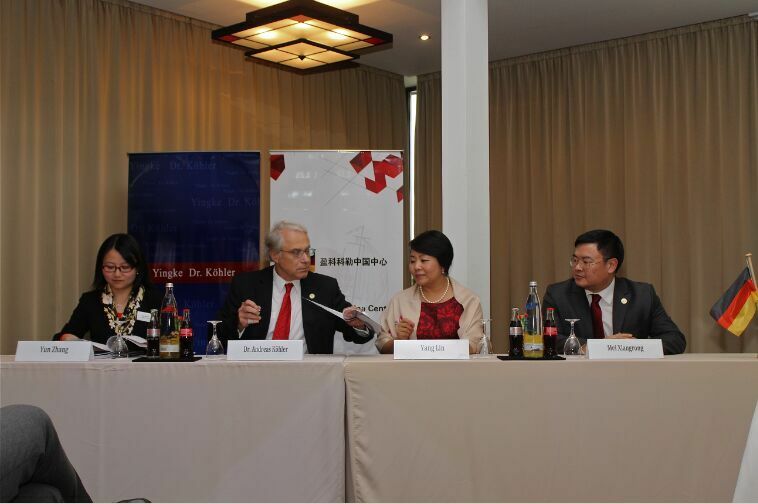 Ms. Yang Lin, Global partner of Yingke Law Firm, Director of Yingke International & President of Yingke Koehler China Center, mentioned that: "It is our honor to establish our office in Berlin and we will build a legal and business bridge between China and Germany." On the occasion of Yingke Germany Grand Opening, Mr. Xiangrong Mei (Managing partner, Global partner) and Ms. Lin Yang (Director of Yingke International, Global partner) of Yingke Law Firm, visited EUREF Zone in Berlin by the invitation of Dr. Koehler. All buildings in this Zone have intelligent management systems and the energy-saving level has reached the goal of 2050. 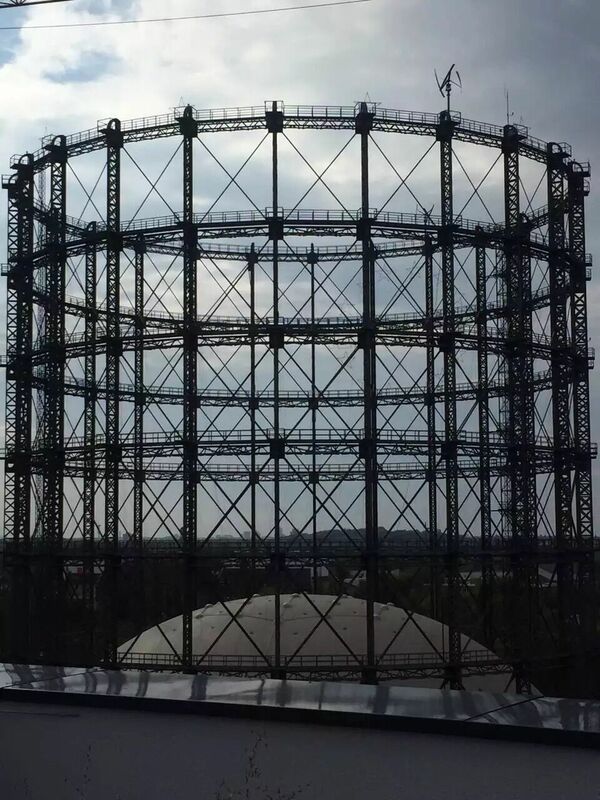 The gas storage device, as the landmark of EUREF Zone and built by British in the 19th century, is used as a studio for a famous TV show at present. 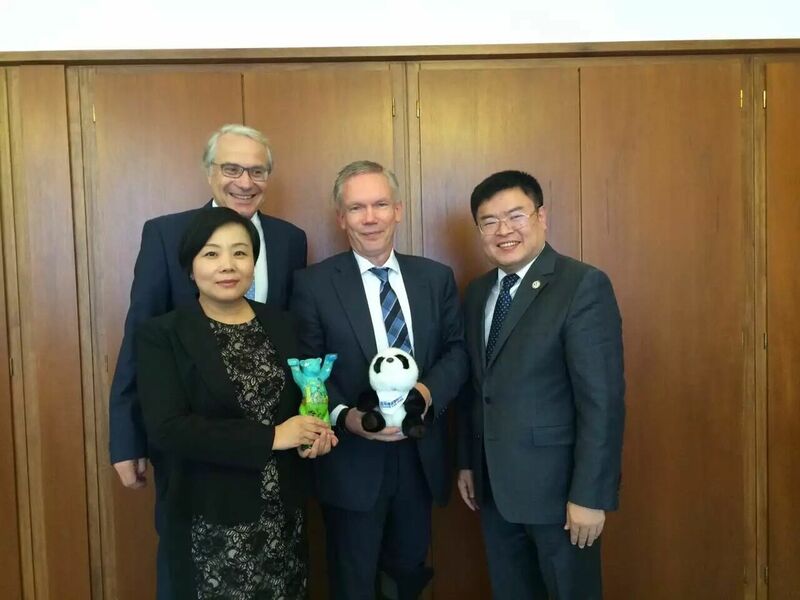 Accompanied by Dr. Koehler, Mr. Mei Xiangrong and Ms. Yang Lin also visited the Director of Berlin Mayor Office as well as Berlin Rotes Rathaus. Both parties enjoyed a friendly conversation and shared each other’s gifts warmly. As a Chinese international law firm, Yingke always prepares to provide full-scale, high quality and one-stop legal and commercial services to its clients. Yingke has 32 offices in China and 30 offices worldwide. According to the plan, Yingke will also open its offices in France, Japan, Malaysia, Indonesia, Thailand, Australia, New Zealand, Canada, South Africa, Mauritius and Kazakhstan. In the future, Yingke will follow its clients’needs to open offices in other key cities globally.